E-Z UP takes innovation and customization to the next level with the restomod Bell Jet Ranger 206B helicopter. The Jet Ranger is an all-custom project by E-Z UP® founder Mark Carter, who plans to use the helicopter for hosting activation events along with aerial video shoots of products and company-sponsored sporting events and athletes. Carter has been involved in every detail of the Jet Ranger restomod project from selecting the materials for the new interior design to the exterior custom paint job, working with Zee Siddiqi, of La Verne, California-based Zee Designz. Producing a work of art takes plenty of forethought, innovation, and a high level of quality and attention to detail to make it look E-Z. 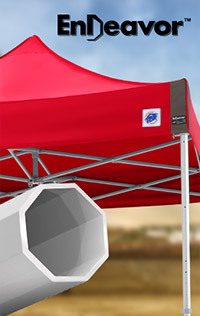 Following the same approach as our E-Z UP® Instant Shelter® products, the Restomod Jet Ranger shows innovation and quality in every detail. At E-Z UP we have a drive to stay a leg UP on the competition. 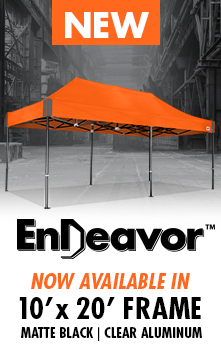 That’s why we’ve introduced the strongest and most durable E-Z UP® Instant Shelter® product in the world, the Endeavor™ shelter, now available in a 10’ x 10’ and 10’ x 15’ sizes. The shelter features high-strength end caps, heavy-duty foot pads, reinforced fabric corners, and an aircraft-grade aluminum frame, making it reliable and ideal for every-day use. 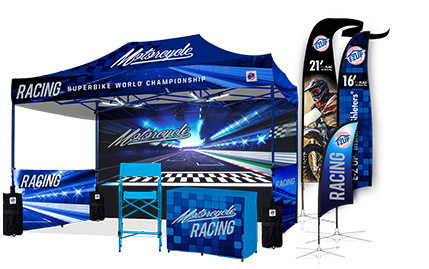 The shelter also has octagonal-shaped legs that are 2 inches in diameter available in aluminum and matte black.